A group of animal advocates visited the aquarium that takes many of the dolphins caught in the annual drive hunts in Taiji, Japan, to deliver a lawsuit this week. 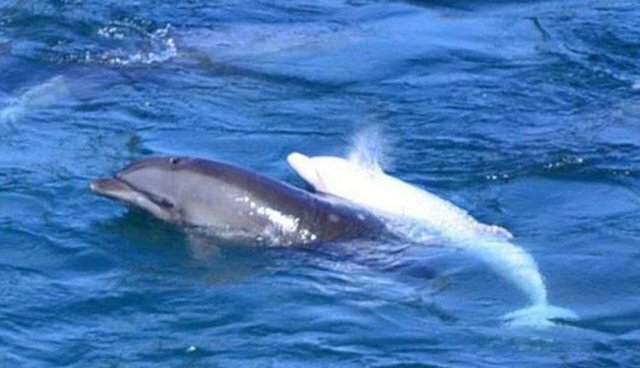 Former dolphin trainer-turned-activist Ric O'Barry, along with Australia for Dolphins, the Earth Island Institute, the Dolphin Project and Save Japan Dolphins, accused the Taiji Whale Museum of discriminating against people who want to check on a baby albino dolphin it has in captivity that was caught in the hunt last year. The dolphin, dubbed "Angel" by O'Barry, gained international coverage when she was herded into the infamous cove, separated from her mother and brought to the aquarium. "They don't want people like me to go into the Taiji Whale Museum to monitor Angel," O'Barry said Thursday in Tokyo after his trip to Taiji, according to AP. The aquarium's head, Katsuki Hayashi, acknowledges that his facility routinely denies entry to non-Japanese activists. The aquarium, which also sells dolphin and whale meat, has been targeted by activists for its support of Taiji's drive hunts. Activists contend that Angel is being harassed by visitors at the marine park.